Technology scaling accompanied with saturation in voltage scaling leads to continued increase in on-chip power density. Power density has reached such high levels that, in current processors, not all transistors on the chip can be powered on at full performance without exceeding thermal constraints, referred to as the dark silicon phenomena. According to ITRS projections, 50% of the silicon area will be dark for the 8nm technology node. High temperature not only limits the performance, but it also degrades energy efficiency due to the exponential relationship between leakage power and temperature, and decreases processor reliability. In fact, 10-15°C rise in temperature can shorten the processor lifetime by half. When considering larger scale computing, high temperature translates to the energy efficiency problem in data centers. The rapid worldwide growth in the data center energy requirements reached to 43GW in 2013. In today’s data centers, over 30% of the electricity is consumed for cooling the data center, which makes cooling efficiency among the top challenges in exascale computing. To overcome this problem, using Phase Change Materials (PCMs) has been proposed as a passive cooling solution. PCMs are compounds that store large amounts of heat at a near-constant temperature during phase change. Owing to this heat storage capability, PCM acts like a thermal buffer. This property of PCM can be leveraged as part of performance boosting techniques such as computational sprinting, which is temporarily exceeding the thermal design power (TDP) of the chip by activating the dark cores during short bursts of high computational demand. PCM extends the sprinting duration and thus, provides additional performance gain. processors with PCM-enhanced cooling. We validate the accuracy of our model by comparing against computational fluid dynamics (CFD) simulations. with a PCM unit installed on top of the package. • We propose a runtime management policy to maximize the benefits of PCM. Our PCM-Aware Adaptive Sprinting policy is motivated by the fact that PCM melts at different rates across the chip. Our policy exploits this fact via (i) monitoring the remaining unmelted PCM at runtime and (ii) adapting to the changes in PCM state by changing on the number, location and voltage/frequency setting of the sprinting cores. Experimental evaluation shows that Adaptive Sprinting provides 29% performance improvement and 22% energy savings in comparison to the state-of-the-art sprinting strategy. I am a 5th year PhD candidate in the Department of Electrical and Computer Engineering (ECE), Boston University (BU), Boston, MA. I received my B.S. degree in Electrical and Electronics Engineering from the Middle East Technical University (METU), Turkey, in 2011. I graduated with a cumulative GPA of 3.83 and was ranked 8th out of 247 senior year students in METU EEE Department. In the PhD program, I finished my coursework requirement and passed my PhD qualifier exam in June 2013. I also passed my PhD prospectus defense exam in October 2015. 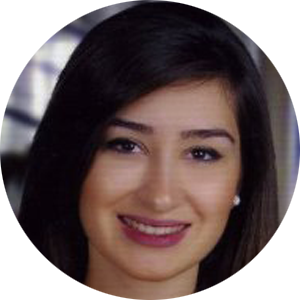 I am currently a graduate research assistant working with Prof. Ayse Coskun and expect to graduate in early 2017. My research interests include thermal modeling and runtime management in processors and data centers. I particularly focus on using Phase Change Material (PCM)-based cooling to enhance processor energy efficiency. My main contributions in that field include developing a detailed PCM thermal model, demonstrating the feasibility of PCM-based cooling on a hardware testbed, and developing a runtime management policy to maximize the PCM benefits. As part of another research project, I worked on optimizing data center energy efficiency through cooling and performance-aware job allocation strategies. My publications include a book chapter, 2 journal papers, and 5 conference papers. During my PhD studies, I had a chance to attend many conferences (including DAC, InterPack, IGCC, ICCD, VLSI-SoC) and present my work. I was one of the recipients of Richard Newton Young Student Fellow Award at DAC, in 2014. In 2015, I was granted a fellowship to attend PhD Forum at DAC. My work experience includes two internships. I interned at Advanced Micro Devices (AMD), MA, for 7 months in 2013. There, I worked on thermal modeling and design space exploration of PCM-based cooling systems. For my second internship, I was at Sandia National Labs, NM, for 3.5 months in 2015. I worked on the development of SST, which is a large-scale data center simulator. I will soon be choosing a career path either as a faculty in academia or as a researcher in an industrial facility, which I am considering equally at the moment. My main motivation to attend Rising Stars is to get recommendations, insightful information regarding both paths from the experts, especially women, working in the area. I believe that such venues are not only great resources for networking, but also they provide valuable mentoring opportunities from people at various stages of their careers. For example, we do not get the chance to hear a talk about “Work/Personal Life Balance” from a women’s perspective at other workshops in computing. Moreover, professional success does not merely depend on the technical quality of the work. Claiming your ideas with confidence, owning your accomplishments, and negotiation skills will have a significant impact on securing a good position after graduation as well as on the rest of the work life. By attending Rising Stars, I hope to gain insight on developing such skills through a collection of talks, mentoring sessions and panels.